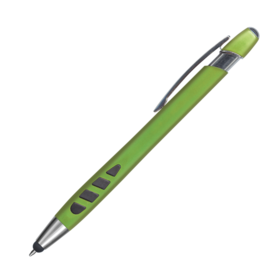 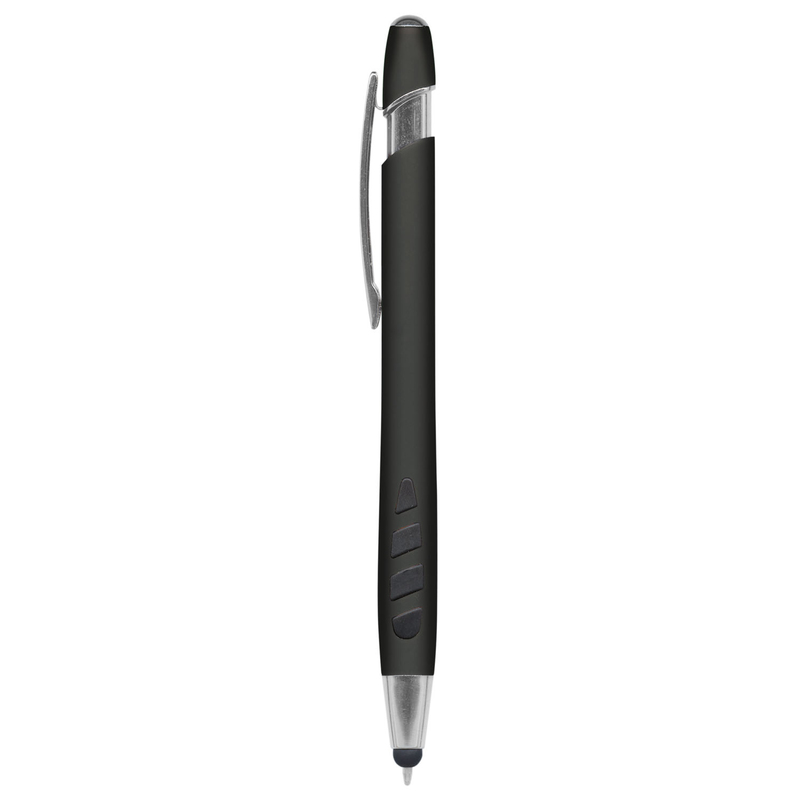 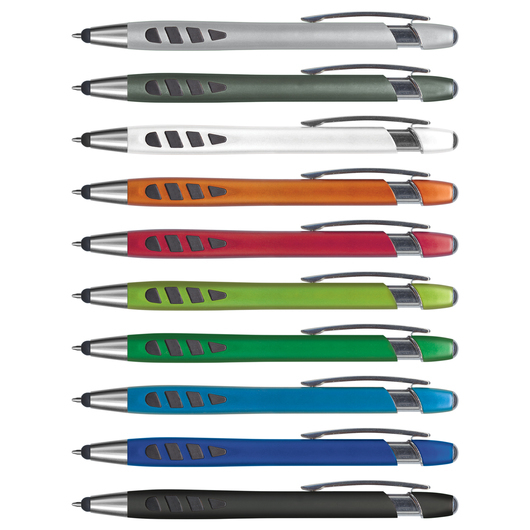 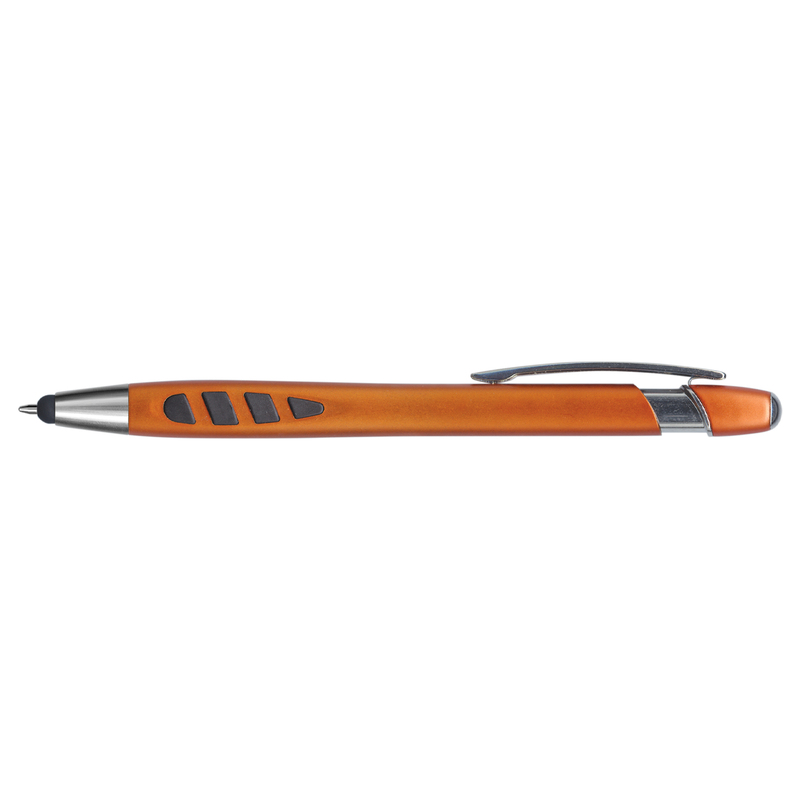 A stylus pen with a quirky grip that comes in a fantastic range of colours and feels great to write with. With a funky grip, these stylus pens are something people will want to hold onto. Made from plastic and metal, these ballpens have a metallic barrel, soft rubber inserts in the grip and shiny chrome trim along with a stylus for use on touch screen devices. 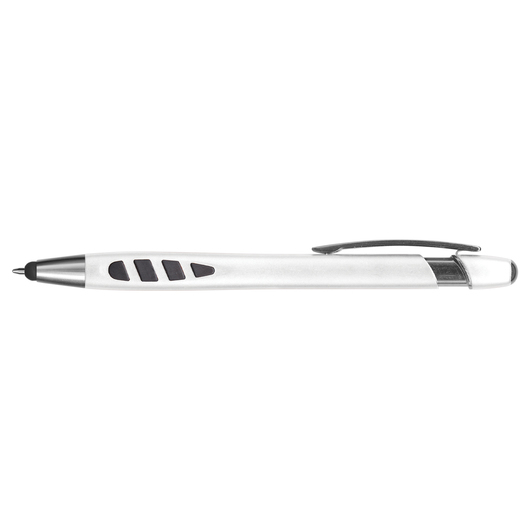 These pens also feature a tungsten carbide ball for improved writing performance and 1200m of German manufactured Dokumental ink.